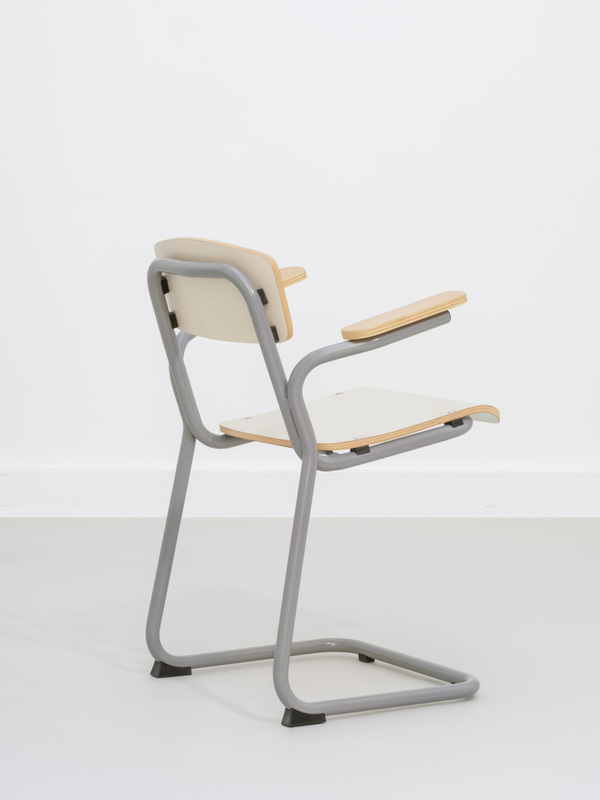 This school equipment range brings together two basic construction materials: steel and plywood. 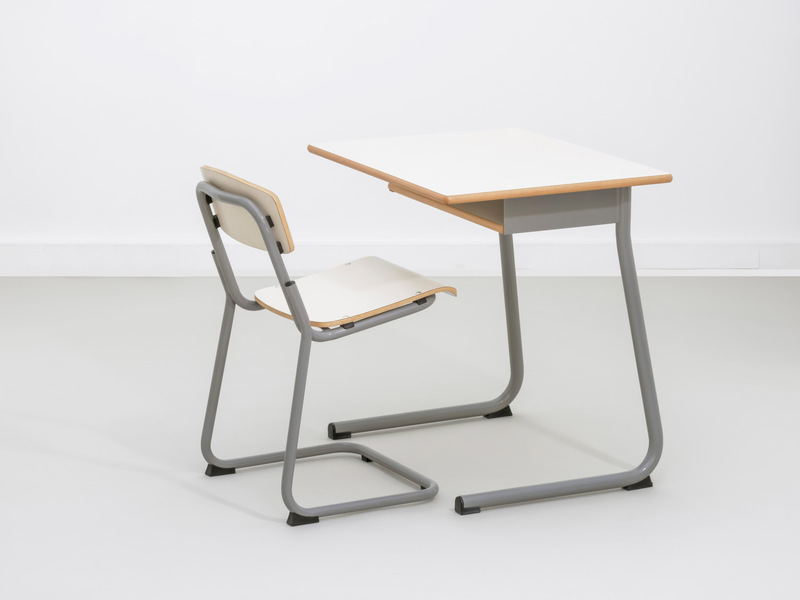 The result is a durable and sturdy desk and chair combo that is ideal for intensive everyday use by schoolchildren. The desks also have a shelf feature under the tabletop, or drawers for storage; all edges are rounded to minimise accidents. 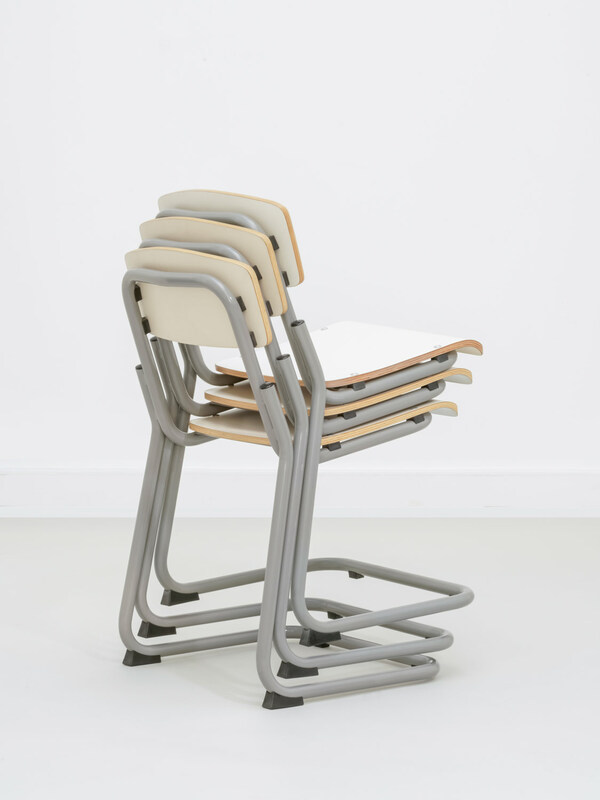 The chairs are stackable for ease of storage. All pieces are finished with a white laminate that adds a contemporary and functional look.